“What is the age limit for GATE 2018 exam ? 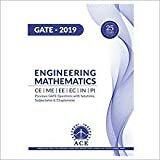 What is the attempt limit for GATE 2018 exam ? 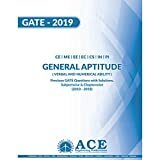 What is the percentage criteria for upcoming GATE exam ? Graduate aptitude test in engineering (GATE) is an entrance test conducted by Indian Institute of Science (IISc) and Indian Institutes of Technology (IIT) for admission to M.Tech. (post graduation programme) courses (Engineering and Technology). Only graduate engineer who has either completed B.Tech or appear for the final B.Tech. graduation degree exam from a recognised University is eligible to apply for GATE. GATE score remains valid for three years, this score apart from taking admission to M.Tech. courses assist candidate applying for job in the Public Sector Undertakings(PSUs). Q.1 – Is there any age limit for applying GATE 2018 exam ? There is no age limit for applying GATE 2018 exam. Q.2 – Is there any attempt limit for attending GATE 2018 exam ? There is no attempt limit for attending GATE 2018 exam. Q.3 – Is there any percentage limit for applying GATE 2018 exam ? There is no percentage limit for applying GATE 2018 exam. Now you all candidates must have understand that there is no age, no attempt & no percentage limit in GATE but when you are going to use GATE score for either taking admission into any college/university and/or applying for job through GATE score all the above criteria will be applicable and your selection for that particular job will not only depend upon GATE score but also depend upon above mentioned three factors. 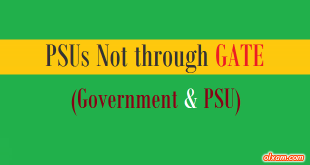 You should visit college/Institute and/or PSUs official website for proper information. Candidates are requested to read this article carefully. So that they can have clear view about GATE exam.